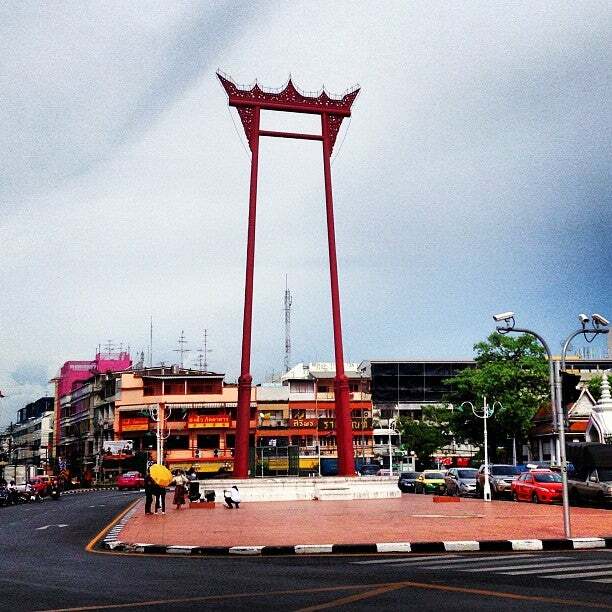 The Giant Swing is a religious structure in Phra Nakhon, Bangkok. It was formerly used in an old Brahmin ceremony, and is one of Bangkok's tourist attractions. Why Giant Swing is special ? 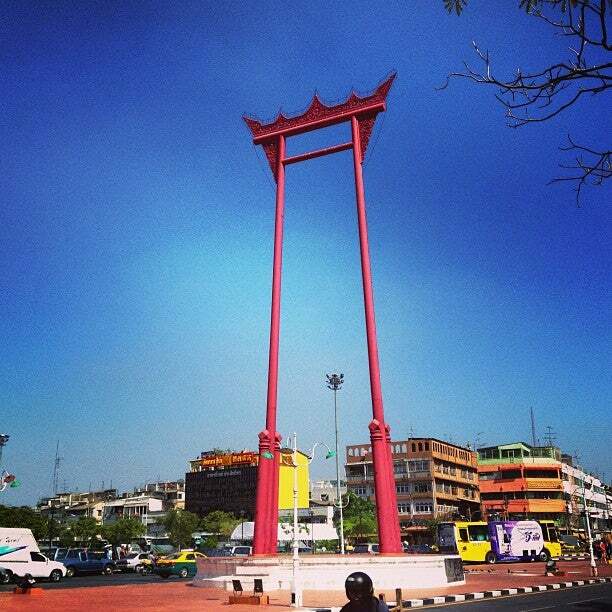 The Giant Swing was constructed in 1784 in front of the Devasathan shrine by King Rama I. During the reign of Rama II the swing ceremony was discontinued as the swing had become structurally damaged by lightning. In 1920 it was renovated and moved to its current location in order to make space for a gas plant. The ceremony was again performed until 1935, when it was discontinued after several fatal accidents. In 2005, the Giant Swing, together with Wat Suthat, was suggested as a future UNESCO World Heritage Site. The 1600 Pandas were on display at the giant swing when my family and I were visiting Bangkok. So, we were able to enjoy both things at the same time. I would say if you are interesting in going tot he giant swing it is interesting and fun to take pictures of, but I would recommend exploring the area at the same time. As the swing itself is somewhat uneventful once you take pictures. Bangkok landmark which you can find very beautiful temples around the areas as well as it surrounded by many good street foods ??????????? ?